HELLO, guys, are you looking for GP recharge offer 2019? In this article, I’m going to talk about GP recharge offer 2019. 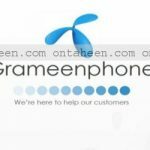 Grameenphone is one of the leading telecom companies in Bangladesh. GP always offers so many packages for their respected users. Along with other offers, GP also provides some recharge offer for their users. It needs to mention that GP starts to provide new tariff based offer from 8th January 2019. Here I have published a list for Gp Recharge offers for all In this article, you will get all the list of GP recharge offer 2019. All offers which I have included all are update offer. 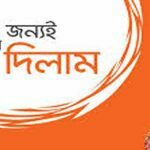 Grameenphone internet package recharge and GP recharge minute offer have been added to this Mobile Offer list. This offer is not available now. 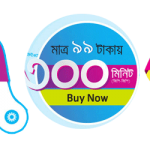 Instead of GP 25 paisa offer Grameenphone started 1 Poisha/sec offer to any local operator. You can easily enjoy this offer by recharge 79 BDT. It is available for any local operator. According to the new update instead of GP 29 recharge offer, GP provides 24 BDT recharge offer. On GP 24 tk recharge offer you will get 35 minute talk time to any local number. You will also get 200 MB internet at 24 tk. All the packages are valid for next 2 days after recharge. At 49 tk recharge any users can enjoy 1 poisha/sec call rate including 49 MB internet pack. The validity of this offer is 7 days. It is a weekly package. But users if want to enjoy only the internet offers they can recharge 41tk. By recharge gp 41 tk any user can enjoy 2 GB internet data pack. Gp 41tk offer of 2 GB internet pack is valid for next 2 days. These 2 days will be count from the activation date. If any user just wants to enjoy the gp recharge minute offer than they can recharge 43 tk. In GP 43 tk recharge offer users will get 75 minute talk time to any local operator. Anyone can also enjoy 48 poisha/min for 5 days to any local operator. To enjoy this offer any users have to recharge 48 BDT. So from all this offers one user can easily pick his/her favorable offer. After updating GP new tariff packages instead of GP 79 tk recharge offer Grameen phone starts to provide some other exciting offers for their customers. Users can enjoy GP 68 tk recharge offer. On this package users will get 50 minute talk time including with 500 MB internet data pack. The validity of this offer is 7 days. One can also enjoy GP 78 tk recharge offer, where they get 135 talk time bundle pack. This talk time is applicable for any local operator also. It is also an weekly package. Recently GP provides so many new offers, among them GP 89 tk recharge offer is the best one. On this package you get 7 GB data pack for 7 days. The offer divided on this way, 1 GB main data balance, 5 GB bonus data balance, 1 GB available on 4G network. To activate this offer recharge 89 BDT as soon as you can. It is available for only limited time. Though in new update of gp tariff packages gp 109 tk recharge offer is not available. In its place there have many other exciting offers which gp provide for their users. Let’s start with Grameenphone internet package recharge offer. User can enjoy gp 86 tk recharge offer where they will get 1 GB data pack. This offer will be valid for next 7 days from the activation day. Users can also enjoy 1.5 GB internet data pack at 104 BDT. 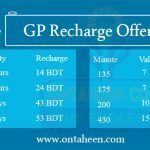 Gp 104 tk recharge offer package is also valid for 7 days. So it’s only your choice what you want to pick. Here are the details about GP 148 tk recharge offer. By recharging 148 BDT you get 3 GB internet data package including with 150 minute talk time. In this package, you get two combined pack. 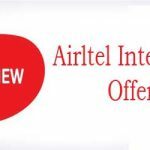 So to grab the offer recharge 148 BDT very soon. It is monthly package. Here is a new offer which about we going to tell you guys, that is GP 209 tk recharge offer. By recharge 209 BDT you get 10 GB internet data packages. The validity of this package offers is 28 days. so don’t get late, make hurry and recharge 209 BDT. Another amazing offer, GP 297 tk recharge offer. By recharging 297 BDT one can enjoy 30 GB internet data package. This package works forthe next 30 days. But one can use only 1 GB data package daily. If you are interested, then recharge 297 BDT today. It is available for limited time. So grab it very soon, before the ending day. Now I’m going to talk about gp recharge minute offer. In between 109 tk you can enjoy 175 minute talk time pack at only 99 BDT. Gp 99 tk recharge offer is also for any local operator. It is also a weekly recharge offer.